Well, I won’t even talk about the weather, because the moment I say anything the weather changes in Ohio. We’ve gone to twelve degrees below zero last week to temperatures in the low forties over the weekend. Today it was rainy and mild, like a spring day. But before I dig out the capri pants and sandals, it’s supposed to snow tomorrow. Instead, I will ask if any of you received e-readers for Christmas…or just because you’ve been a fine person lately. All four of my Miller Family series are on sale TODAY ONLY for electronic readers. 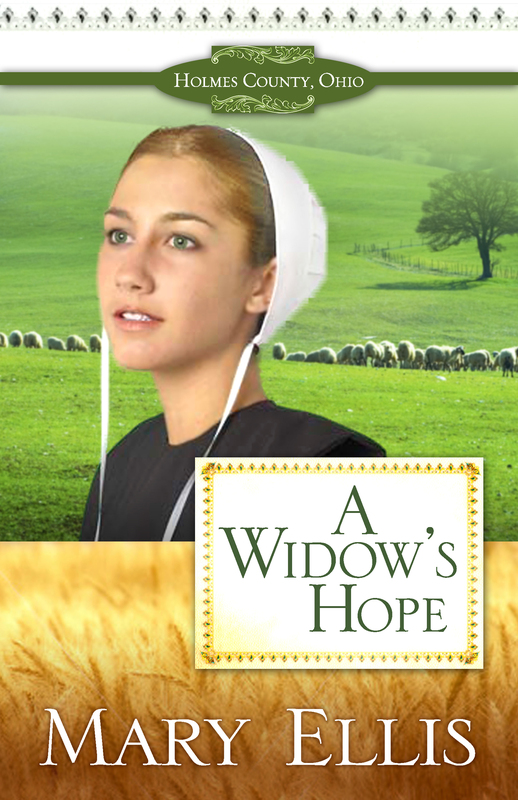 So go to your favorite electronic book site, including CBD, Kindle and Nook, and download A Widow’s Hope for .99 cents, Never Far from Home for 1.99, The Way to a Man’s Heart for 1.99, and An Amish Family Reunion (book 4) for 1.99. Prices like that will only last a day! No, I don’t believe I make a dime at these prices, but I want my readers to fill in any blanks they have in my back-list. Here’s the Amazon link, but the other outlets will have them, too. Have a great week, readers! And if you don’t like the weather…just wait a few days. Who knows what you’ll get next! If you haven’t already done so, please sign up for my newsletter in the right-hand sidebar. I will be giving away 10 copies of The Quaker and the Rebel on Feb. 15th to newsletter subscribers. Good luck! I will send out signed copies to A Widow’s Hope, Never Far from Home, and The Way to a Man’s Heart, as soon as I get those addresses. If you’re curious about the consensus: Yes, it was practically unanimous–Amish inspirational stories are romances! Thanks, I just needed to hear readers’ opinions. And before I forget: Did you know that copies of my older books are available at a discount, postage-paid? You can purchase from me the 3-book Miller Family series (A Widow’s Hope, Never Far from Home, The Way to a Man’s Heart) signed and personalized for $25.00, shipped for free. Also the Wayne County series, (Abigail’s New Hope and A Marriage for Meghan) is available for $20.00, shipped for free. We’re down to wire on my first contest to give away 10 signed copies of Living in Harmony to newsletter subscribers. Please sign up for my newsletter if you haven’t already done so at: www.maryellis.net There’s a little box to enter your email address on the right hand side, underneath the book covers. That’s all there is to it. I will draw 10 names on Wednesday to win free copies. Also, these are the final days of the sale of 3 of my older titles. If you haven’t read Abigail’s New Hope, A Marriage for Meghan, The Way to a Man’s Heart, or Sarah’s Christmas Miracle, Amazon has them on Kindle for 2.00 or 2.50 . Such a good deal. 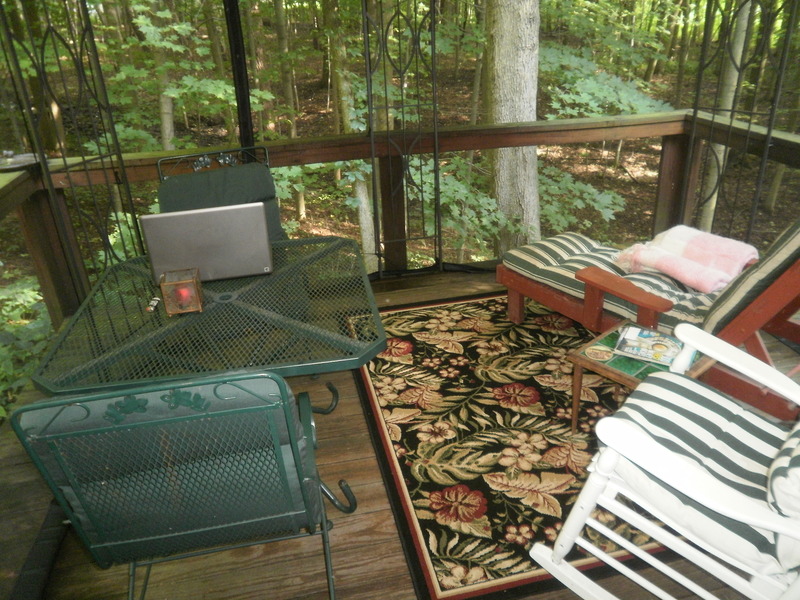 Now I must get back to work in my screened porch on A Little Bit of Charm. That book will not get written unless I get busy. Have a lovely week. I just finished reading One Thousand Gifts by Ann Voskamp and have been meditating on this one line in particular. If I might quote Ann…All fear is but the notion that God’s love ends. What profound words. How often do we dwell on limitations, and lack, and our dificiencies, instead of focusing on our strengths and the abundance that God lays on our doorstep every day. Thank you, Ann, for your wisdom. I hope to remember those words tomorrow, and each day for the rest of my life. Seems like I just got back from Ridgecrest, and soon I will be off again to research the Old Order Amish of KY in preparation to start Living in Charm. (book 3 of the New Beginnings series.) Wish me luck that I don’t get lost, don’t run out of gas, and find as many helpful people in KY as I did in Maine and in Missouri. Look for Living in Harmony, first in the New Beginnings series in about a month. 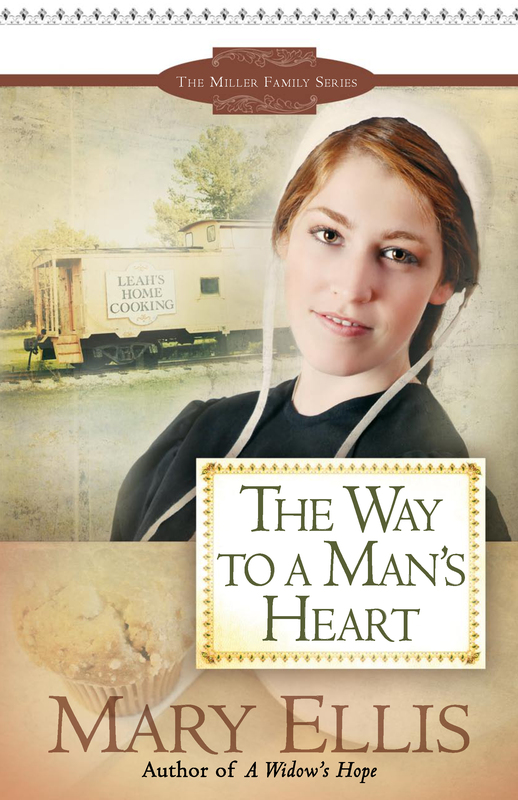 Before I forget, the e-book version of The Way to a Man’s Heart will be on will be on promotion from June 29 – July 9. All eBook distributors will be offering the book at $2.99 including Kindle, Nook, Kobo, Apple, and the Sony Reader. If you haven’t read The Way to a Man’s Heart, now would be a good time. Happy summer my faithful readers. Look for an update to my website very soon.